Fuet Anis, The classic Fennel seed, whole, and pork combination. 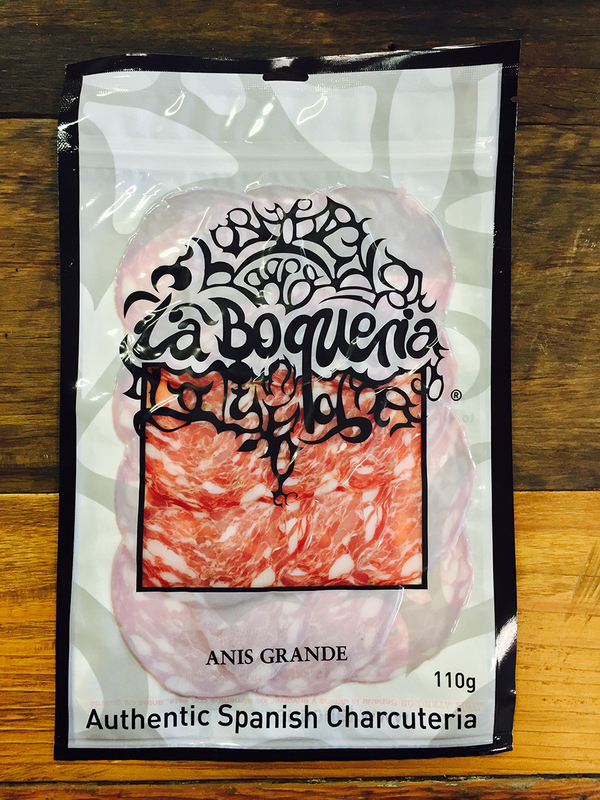 This salami is cured to a semi firm sate, with a moist feel and full fennel flavour produced by the high quality full fennel seeds. Fuet, a classical Catalonian salami. This recipe comes to us from a small town called La Garriga in the north of Barcelona. The local butcher, from a farming family, produces the religiously respected recipes of Catalunia but on some days, needing to stamp his mark, he makes the old recipe his grandfather used to make. The Fuet Anis.